A Church in Ohio is collecting and distributing over 100,000 Thanksgiving meals, with the sole aim of blessing those in need this holiday season. 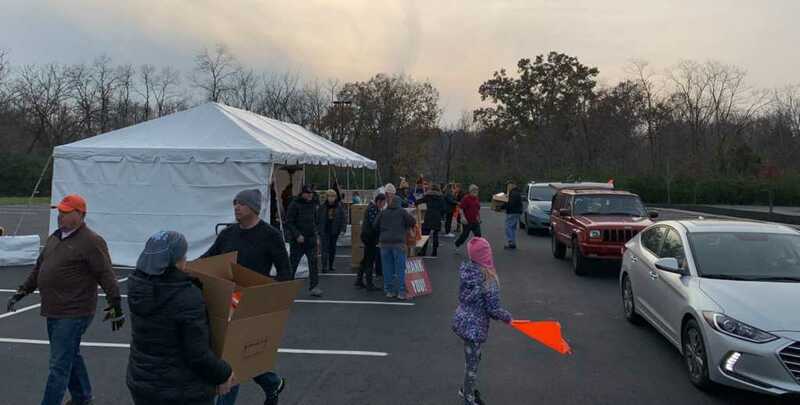 Crossroads Church in Cincinnati has been collecting the enormous quantity of food every Thanksgiving for over two decades, and they’re hoping that this year’s haul will meet the need of around 115,000 hungry families in the greater Cincinnati area. The church says the meals will be distributed to other churches, ministries, schools and faith-based communities before being delivered to those in need. The Thanksgiving Food Drive is about so much more than just fun—it's about blessing members of our community. Terry Phillips had a chance to chat with one of our partners to learn how some of our donations will be distributed. In addition, the church will ship some 60,000 pounds of food to its partners in South Africa. According to the United States Department of Agriculture, in 2017, some 11.8 percent (15.0 million) of U.S. households were “food insecure” at some point during the year. Tragically, the highest level of food insecurity was seen in households with children. In addition, at a time of year when expenditure skyrockets, making food readily available for needy families is absolutely vital Kingdom work.